When she was a student at the University of Virginia, Amanda Upson would sit in the dining hall with fellow students and professors who lived at Brown College and talk for hours about anything and everything. Often, the discussions got lively. It’s one of the reasons the lawyer-turned-movie-producer – who recently was named to Forbes’ “Forty Women to Watch Over 40” list – is so excited about her first film, “Magnum Opus.” The spy thriller, which screened during November’s Virginia Film Festival in Charlottesville, has full streaming distribution in the U.S. and Canada on sites like Amazon and iTunes. It touches on hot-button topics like privacy, security and media stereotypes that Upson hopes can spur the type of discussions she used to have at Brown. 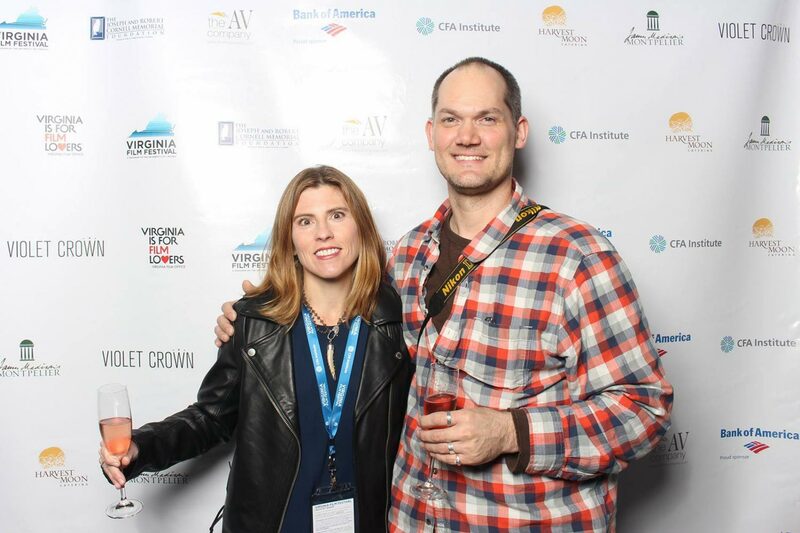 Upson collaborated on the film with fellow UVA alum Kevin Elliott – one of those students from Brown she had spent so much time conversing with. When Upson was at UVA, a film career was the last thing on her mind. After earning her degree in government and foreign affairs, Upson worked in human resources in Washington, D.C., before going to law school at Case Western Reserve University in 2000. In 2013, the Tabb native decided it was time to do something else, but had no idea what. After she briefly worked for a fitness start-up company, Upson’s husband suggested she look into movie producing. Upson immediately shot him down. But a few weeks later, Upson was chatting with Elliott – with whom she had kept in touch over the years – when he mentioned that he was trying to start a production company and that she should consider joining him. Upson resisted, but Elliott, believing she had all the necessary skills, persisted. He sent her a book explaining what a producer does. “I thought, ‘Yeah, that kind of is my skill set,’” Upson said. In 2015, Upson decided to give it a go. She set up Tuck and Roll Productions in Denver, then partnered with Elliott’s company and began looking for a film. After reading a number of scripts, Upson, Elliott and partner Scott Patrick Stoddard picked “Magnum Opus,” believing it was clever, commercially viable and would fit into their under-$1 million budget. The group quickly got actor Clark Johnson, of “Homicide: Life on the Street” and “The Wire” fame, to sign on. That led to commitments from Pej Vahdat (“Bones,” “Sneaky Pete,” “The Good Doctor”); Louise Griffiths (“Unknown Caller,” “The Revenant”); and Adam J. Harrington (“Dexter,” “TURN: Washington’s Spies”). The film wrapped production in August of 2015 and is available on all streaming services, including Amazon and iTunes. In Denver, Upson has co-founded a chapter of the Mother Attorney Mentoring Association, a group of more than 300 attorneys. Upson, who has congenital hearing loss and is a member of the Deaf and Hard of Hearing Bar Association, keeps her law license active so she can represent pro bono clients. In January, she is scheduled to be sworn into the Bar of U.S. Supreme Court. “I’m pretty psyched for that!” she said. Upson’s long-term goal is to create a media company that focuses on “diverse and underrepresented voices.” Media is an area that piqued Upson’s interest at Brown College when she would chat with faculty fellow Bernard Mayes, the late professor who founded UVA’s media studies program. For now, Upson hopes “Magnum Opus” encourages the kind of healthy discussions she and Elliott took part in all those years ago at Brown.